The NUC Core i5 processor provides solid performance. Storage performance from the M.2 storage slot is significantly better than the older SATA interface. 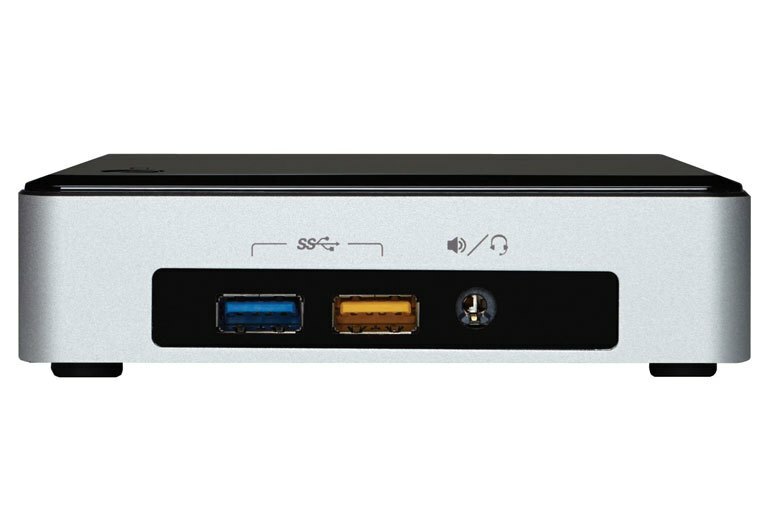 The NUC is tiny and can be placed nearly anywhere, including onto the back of monitors using VESA mounts. After you pay for RAM, an SSD, and a copy of Windows, the price isn't that far off from a comparable laptop. Performance is good for most tasks, but gaming isn't one of them. For non-enthusiasts, having to install the memory, storage, and operating system on their own, might be a turn off. 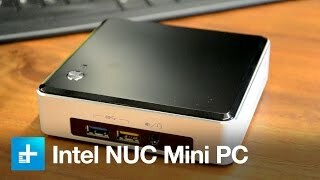 The NUC NUC5i5RYK is Intel’s barebones mini PC kit. The NUC, which stands for Next Unit of Computing, uses the 5th Generation Intel i5 5250U processor. M.2 SSD drives are supported and up to 16GB of RAM can be installed. You’ll have to provide your own operating system, storage drive, and memory. Intel’s HD Graphics 6000 can output video through a Mini HDMI and Mini DisplayPort. 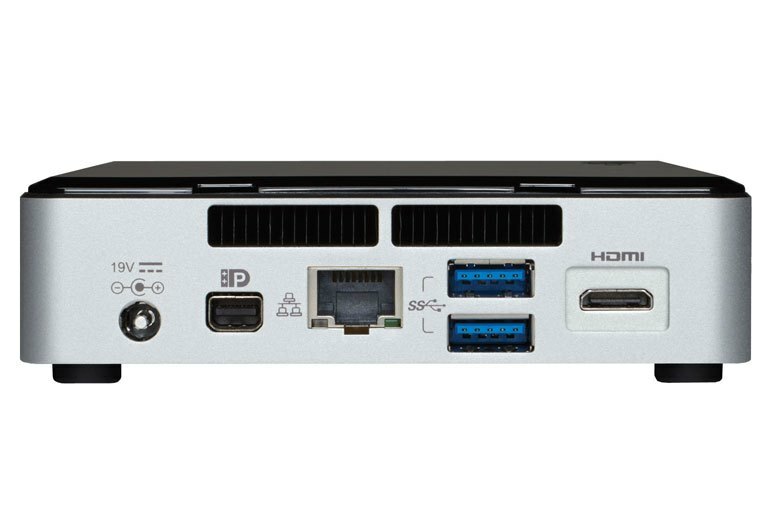 Four USB 3.0 ports are available and an internal USB 2.0 header can add two additional ports. Intel provides Gigabit Ethernet and a Wireless-AC 7265 card for networking. 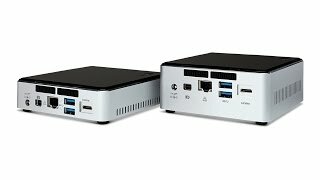 The NUC5i5RYK is compatible with Windows, Ubuntu, Mint, Fedora, and OpenSUSE. I love the build quality and design of this unit - it is shockingly small and runs extremely quiet and cool. What is very impressive is that even at full power draw, the NUC produces little noise. At either height, the NUC is tiny enough to slip into the smallest entertainment center, sit next to the keyboard on your desk or strap to the back of a monitor, using the bundled VESA mounting bracket. When we plopped in Samsung’s more expensive ($254) XP941 256GB M.2 drive, however, we got stupid sequential-read and -write speeds of 1,089MB/s and 798MB/s, respectively. 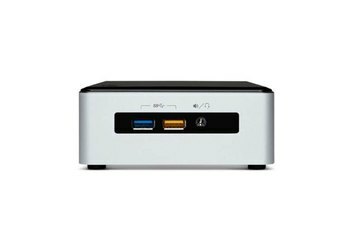 In GeekBench, the NUC with Core i5 processor is able to outrun the Acer Veriton, which is based on older hardware but still sells today for about $500, and nearly keeps pace with the Alienware Alpha, which is built for games. It'd be nice to see that mini HDMI port get replaced with the sturdier and much more common full-size HDMI port, but it's a good layout for a desktop of this size. 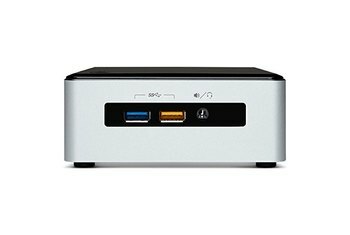 The NUC supports all three M.2 sizes, plus SATA and PCIe-based interfaces. SATA drives are by no means slow – they are still a thousand times faster than a normal hard drive – so don’t go thinking you’re missing out by getting one over a PCIe drive (the SATAs are still quite a bit cheaper). Intel's Visual BIOS is one of the few UEFI BIOSes that provide a good user experience. We had no issues playing 1080P H.264 MKV video clips (one at 10Mbps and the other at 40Mbps) and found CPU usage to be right around 8%, which is nice and low. 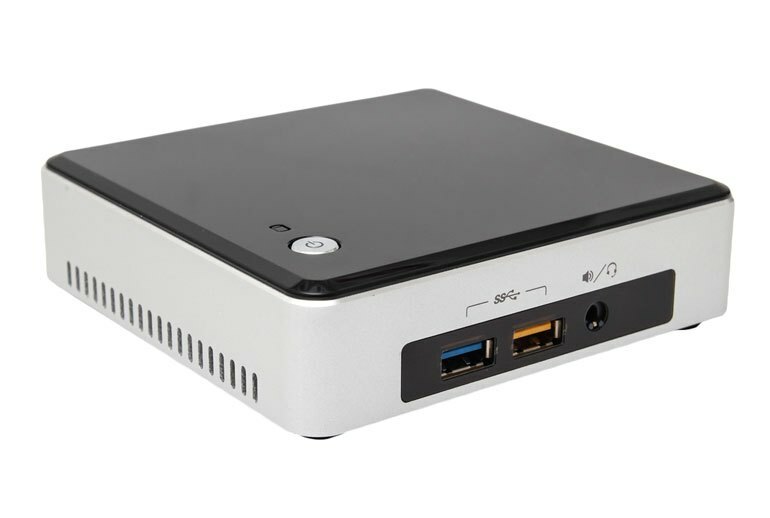 The NUC5i5RYK’s specifications read like a cutting-edge mobile PC. First off, what it can’t do: any serious gaming, which should come as no real surprise, given the integrated HD6000 graphics.